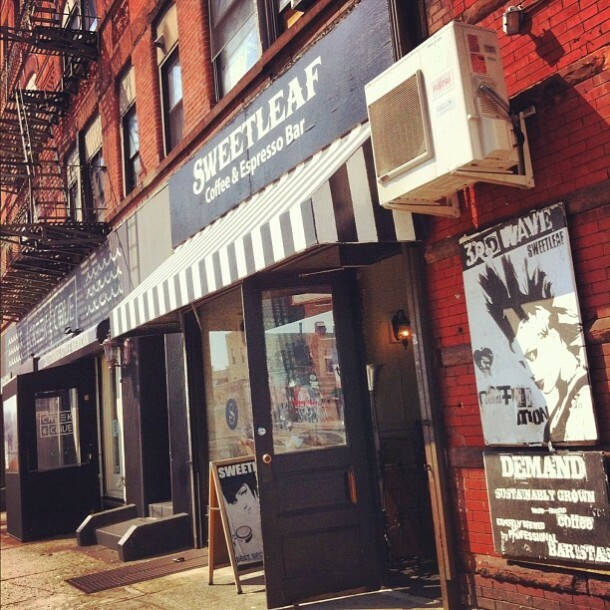 Sweetleaf Coffee & Tea opened in 2008 at their original Long Island City location and have held the mantle as the best cafe in Queens ever since. They’re among my favorite cafes in the city, blending indie character and eccentricity with an uncompromising attention to detail in the pursuit of great coffee. Every espresso shot is weighed and groomed here for precision and consistency, but you find variety in the coffee’s expression depending on which barista is on duty and what they decide to highlight in the day’s coffee offerings. Over the last year, co-owners Freddy Arundel and Rich Nieto have expanded Sweetleaf into Williamsburg, and added a new location amidst the rising condos surrounding Gantry Plaza state park, near Hunter’s Point. This newest location fuses coffee (until 6pm) and cocktails (after 6pm) in collaboration with Dutch Kills, a Long Island City bar well known among cocktail aficionados. I caught up with co-owner Rich recently for a little interview about Sweetleaf in general, as well as its expansion. So how’d you end up with the name ‘Sweetleaf’ anyways? 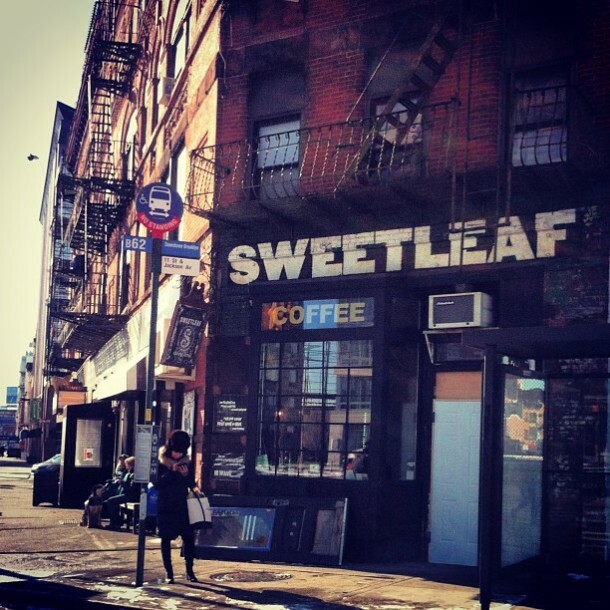 Sweetleaf was named after the Black Sabbath song. You’ve just recently opened your third location in the new developments at Hunter’s Point. Each Sweetleaf has a similar aesthetic, but very different physical settings and neighborhoods. Could you describe what makes each location unique, and also how you try to make them all look and feel like ‘Sweetleaf’? Well each location has to be unique. We’re not trying to replicate anything. That wouldn’t be very cool. At the original shop on Jackson we accentuated what we had. We were in a 19th century building with original tin walls so we filled it with antiques and reclaimed wood. In Williamsburg the space was all brick so we accentuated its industrial feel but also with reclaimed wood. When we got to the Center Blvd space in a brand new luxury high rise building we felt it wouldn’t be Sweetleaf if we went modern. So we played up its luxury and grandness by incorporating vintage leather, antique wall paper and again reclaimed wood. It’s a sanctuary, an escape from what you are surrounded with all the time there. So each space may be different but Sweetleaf has an identity and that should be felt when you walk in. You should know you’re in Sweetleaf . We’re trying to blend classic & charming with punk rock & metal and I think that’s pretty awesome. 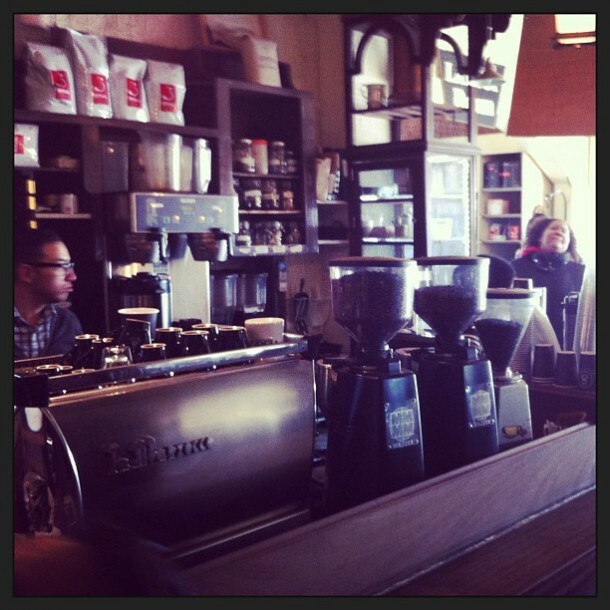 Sweetleaf is a multi-roaster shop, how do you choose the coffees you serve? What are you looking for? What challenges does offering such variety pose? We try to build relationships with roasters. 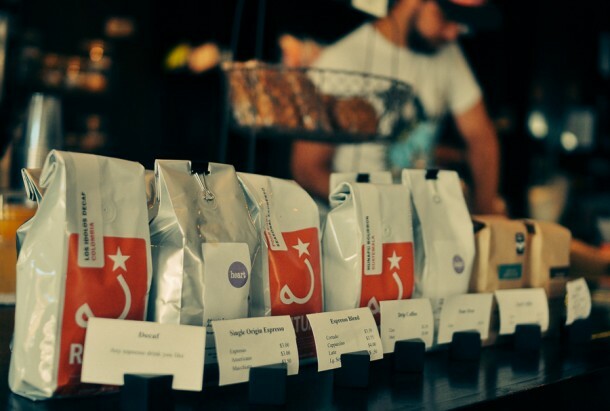 We started with Stumptown back in ’08, they’d ship us beans from Portland. We were only 1 of 2 shops in NYC carrying them at the time. When they started roasting in NY and soon blew up I knew it was time to go multi roaster, I wanted what we offered to be unique. We started adding roasters as we found roasters who we felt were doing something exceptional on a consistent basis. This would be determined on a cupping table. When we have a roaster’s samples we’ll blind cup them against our current roasters with coffees from the same region. This is the system that works best for us. 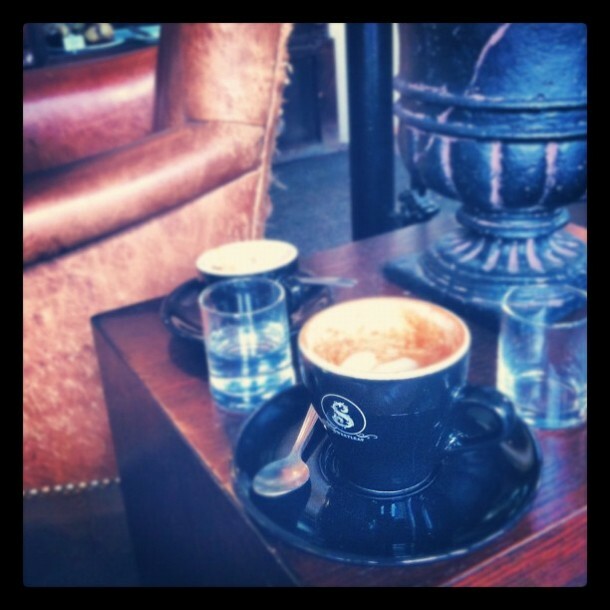 I’m looking to serve the coffees I like and the ones that can best fill the role we need filled. For example, for a pour over I want an exceptional coffee, clean, sweet, with clear fruit notes. At the same time I would never put that coffee in our Rocket Fuel (New Orleans style) there I’m looking for a darker roast with huge body,chocolate and a lot of intensity. It’s not easy to run a multi roaster coffee program. Besides the inventory balancing and administrative challenges it presents it’s also more difficult to brew so many different coffees. What I have designed is a formula to brew our coffees. We have a way we make our espresso, batch, pour overs, cold brew etc. This works well so far for the coffees we like most but not for all coffees. So, if a roasters style doesn’t fit our formula we won’t buy it. Trying to work with multiple roasters and then trying to change how you brew each coffee and espresso is not in my opinion a scalable model. I’m as proud of our rocket fuel and our voo doo child as I am of anything else we serve. Because we approach with the same attention to detail. It’s all taste tested, measured and thought through. The rocket fuel is our version of New Orleans style ice coffee. Our recipe is different because instead of using simple syrup we use pure maple syrup. This was done through taste testing. Simple syrup was sweet but the notes were too high. Maple syrup gave sweetness while adding to the dark smooth and big body the cold brew had. Score! 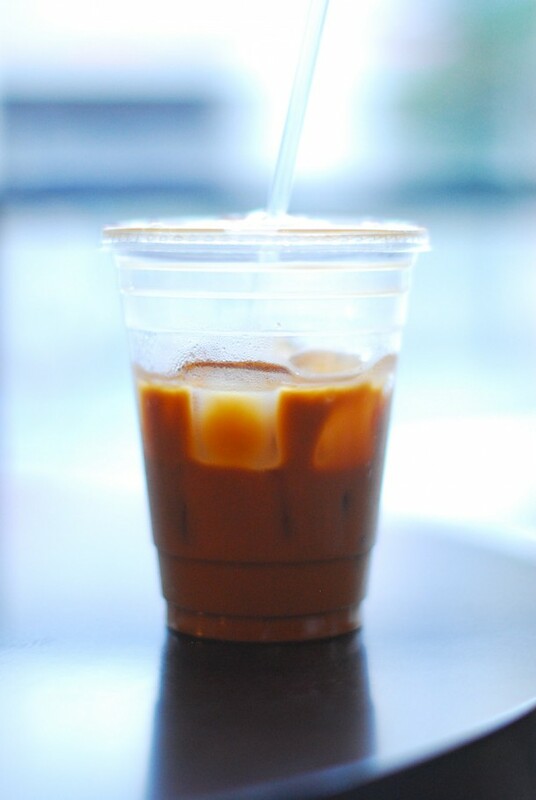 The voo doo child is our interpretation of a Vietnamese style iced coffee. Except its quite different. We use a cold brew and mix it with condensed milk and a home made vanilla sweet cream. It’s a dessert. A dessert that will send you flying into a different solar system. Ha! As far as signature drinks go this is where I will be spending a lot of my time and energy. We’ve spent years working on our traditional coffee program. Trying to perfect our espresso, pour overs, etc. As more shops start to adapt and elevate their game I believe it will become easier and easier to find a great shot or fantastic pour over. 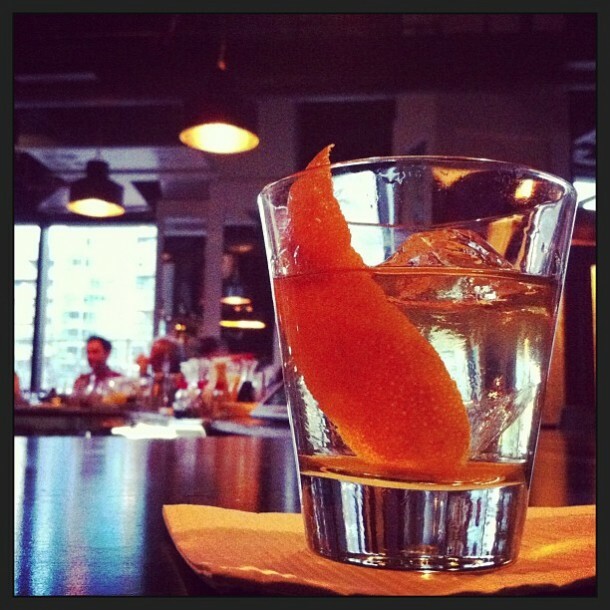 If we want to stay ahead of the curve then I believe working on new drinks is the way to go. Everyone serves cappuccinos and lattes. I believe it’s time to push the envelope and start adding other ingredients besides milk. Having the cocktail has really opened my eyes to a lot of things. Some times I laugh and think if we applied a coffee geeks mentally to a cocktail bar we would only serve straight shots under the premise that it’s so good it doesn’t need anything else! How much fun would that be? Thanks for taking the time to answer my questions, Rich! Now, if you haven’t made it over to Long Island City or the Williamsburg cafe, what are you waiting for? 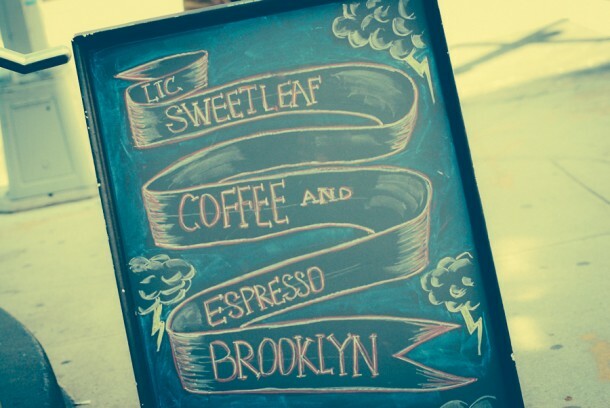 Sweetleaf is right down the street from where Smorgasburg gathers on Saturdays in Brooklyn. If LIC seems like it’s out of the way and you need some convincing, Queens’ answer to Smorgasburg & the Brooklyn Flea has just started up under the name LIC Flea & Food. It’s also a great pit stop before heading to Gantry Plaza park, see the photos below. And the East River ferry pickup is just a 20 minute walk away. Below are a few pictures of Sweetleaf’s two LIC locations & surroundings, including the epic view from Gantry Plaza park.